Everyone says it sometime: "If I were president, I would..." Here's your chance to get it out on paper. What would you do if you were the commander in chief, the head of state, the leader of the free world? 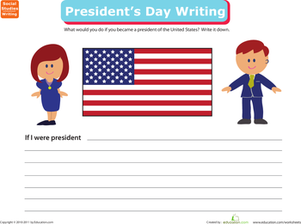 Children draw their face on Mount Rushmore, then write a paragraph detailing what they would do if they were president. 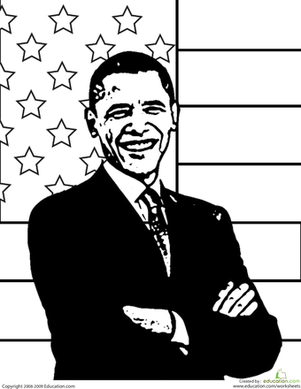 This simple coloring page features President Obama in front of the American flag. If your child is showing an early interest in politics, he might appreciate this presidential paper doll. 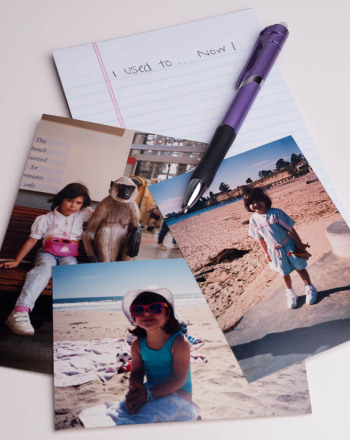 Use this glossary with the EL Support Lesson Plan: I Pledge Allegiance. 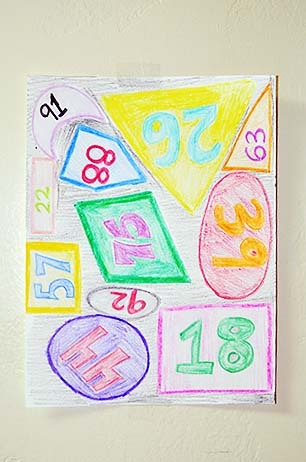 Based on the popular "I Spy" game, this activity lets your kid practise important skills like number identification and place value. Career Paper Dolls: The President! If your child is showing an early interest in politics, inspire her with this presidential paper doll.